First of all I love the mastery programs and plan to purchase them all. It is also really cool to be on these forums and I can't wait to learn more! Do you mean that you feel this in the outer calf of the leg you are bending over? Yes to a pic; pelvis placement is critical to getting this one right. Craig may comment later once he sees a pic, but he and DW are teaching today and tomorrow, so be patient. Feeling this in the outer calf is normal, too. This is normal for this position. The hip grinding bit happens when you go from this position to upright, and of intensified by the tail tucking. Basically, you're in the position you are showing above, tail untucked as much as possible (you can see in your lower back that it's rounding a little, try to untuck tail more to get rid of this), reaching out as far as you can. As you come back from this position to standing, you tuck the tail until you're upright, then add you reach to the other side you untuck again. Also, this is a pose where the foot is inverted relative to the lower leg: This will/can challenge the peroneal muscle(s) which sit on the lateral (side) of the lower leg, they work keep the foot from collapsing. 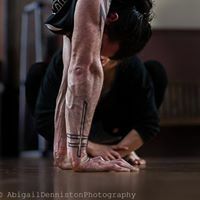 A general point: There is no problem in finding that a particular body part that "shouldn't" be hit by a pose or movement is, this is simply a manifestation of the particular pattern of tightness, weakness or unexplored areas in your body. We all experience these poses slightly differently. Finding these spots is a good thing, and can yield important insights into what you need to work on. Apart from Craig's suggestion about the finer points about the Chinese Hip Grinder, I would invite you do explore the area you that is lighting up: Check out Kits recent video on working the outside of the ankle and further explore the thread about flat feet, foot and lower leg strengthening. I definitely feel this area in many other stretches more than the area I am targeting, I will definitely check out your links and use them to adjust my routine. Thanks for the reply! I feel it ever so slightly in the calves, my left QL and a lot of glute activation with the tail tucks. I am wondering if I am missing something. 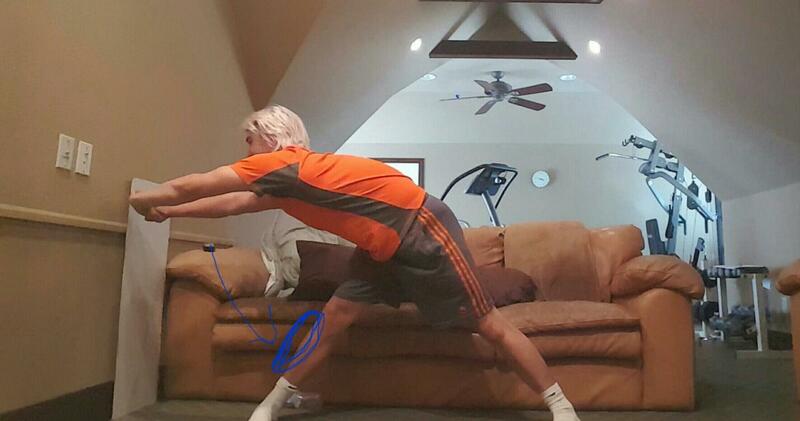 What sensations or manifestations in particular should I been feeling/looking for if I am doing this exercise in good form?